With Father’s Day quickly approaching, it’s time to start thinking about spending quality time with your senior dad. He’s one of the most special men in your life, and Father’s Day is the perfect opportunity to celebrate and honor him. Check out the following five exciting activities that can make Father’s Day special and memorable for your dad. Spend quality time on Father’s Day in nature catching fish with your dad. Sharing a fishing experience can strengthen your relationship and boost your dad’s self-esteem while mastering outdoor skills. Activities like fishing offer recreational therapy that aids in renewing and utilizing physical and mental skills, thereby boosting overall health. Engaging in activities such as fishing enhances cognitive health in aging adults. Seniors who want to remain healthy as they age can benefit in a variety of ways when they receive professional home care. 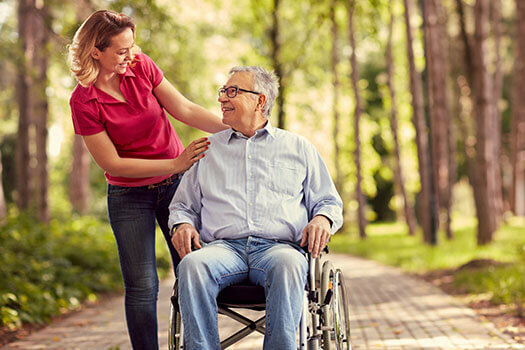 Oshkosh, WI, Home Care Assistance is here to help your loved one accomplish daily tasks, prevent illness, and focus on living a healthier and more fulfilling life. If your dad is more comfortable staying at home, spend Father’s Day playing board games with him. Playing board games provides the chance to socialize and bond with you while giving his brain a workout. You can also involve the whole family by playing games that require teams, which will give your dad the chance to create a lifetime of memories. Taking your dad to a baseball or basketball game is an exciting way to bond over your love of sports. When choosing seats, pick spots near the elevators and bathrooms to make sure he doesn’t face any challenges getting around. If your dad has mobility issues, many stadiums offer wheelchairs that can transport him in and out of the stadium. Arranging visits to sporting events for a senior with limited mobility can be challenging. If you are the primary caregiver for a senior family member and you need respite care, Oshkosh, WI, Home Care Assistance is here to help. Our respite caregivers are trained to assist older adults with a wide variety of everyday tasks, including meal prep, physical activity, and personal hygiene. We also provide 24-hour care and specialized care for seniors with Alzheimer’s, dementia, and Parkinson’s. Take your dad for a walk through the old neighborhood on Father’s Day. As your dad ages, he may increasingly enjoy reminiscing about the past. This simple yet powerful walk can keep both you and your father healthy mentally as well as physically because it uses both the mind and body. Walking releases endorphins that can reduce anxiety and create a sense of wellbeing to help your dad feel more positive about his life. Going golfing on Father’s Day is a wonderful way to spend quality time together with your dad. Golfing is good for your dad’s overall health, and it can also increase his motion and flexibility. To make it an extra special Father’s Day golf outing, sign up for golf lessons taught by a professional golfer, which many golf courses offer. If your dad has difficulty swinging the driver, take him to a miniature golf course instead. Miniature golf is a fast, fun game, and you still get bonding time on Father’s Day with your dad. Providing professional in-home care is one of the best ways to show your aging parent you care. Oshkosh home care professionals can be a wonderful boon to seniors. Whether they require around-the-clock supervision or just need assistance with exercise and household tasks a few days a week, seniors can enjoy a higher quality of life with the help of trusted in-home caregivers. Call Home Care Assistance at (920) 710-2273 today to learn more about our customized home care plans.